When an old person dies, a library burns to the ground. In the mid-1990s, Mrs. Irene Harrison (1890–1999) from Akron, Ohio, stayed in my bed-and-breakfast in Western North Carolina. On her last visit, Mrs. Harrison, daughter of famed tire entrepreneur Frank Seiberling, was 105 years old. She was a petite, gracious lady of the old school who proved highly entertaining on some occasions. Once when I was passing through the living room, she was discussing politics with her son. I paused to ask her to name her favorite president. I was stunned. Franklin Roosevelt was this stanch conservative’s favorite president? 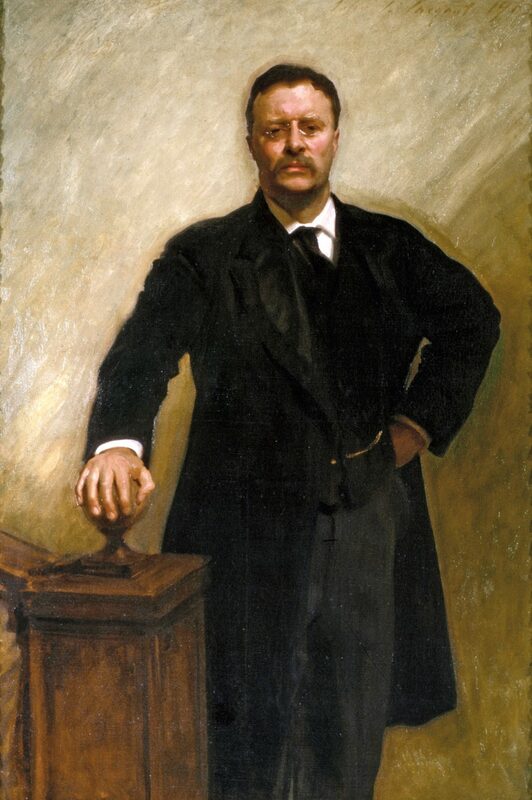 Later, I calculated that she was 18 years old when Roosevelt—Theodore, that is—became president. Given her father’s many accomplishments, Mrs. Harrison probably met President Roosevelt in person. I heard several stories from her past, but if I had my wits about me, I would have sat this woman down, pen and paper at hand, and asked her scores of questions about history. Here was a woman who was 13 years old when the Wright Brothers flew at Kitty Hawk, who was married by the end of World War I, and who lived through the Roaring Twenties and the Great Depression. With her departure, at least in my case, a library had burned down. I did interview another centenarian, Miss Lindsey, who lived down the street from me. Though her life was not nearly as glamorous as that of the well-to-do Mrs. Harrison, she had many good stories about our town and about Mrs. Palmer, who had established our bed-and-breakfast as a tourist home 80 years earlier. Here was a lesson about human beings and history not commonly found in a textbook or taught in a classroom. Our ignorance of American history, or worse, our misperception of our past, is wreaking havoc on our culture. Many of us have laughed, sometimes sadly, at those videos on YouTube of young people who don’t know the reason for the Fourth of July or who believe we fought the French in World War I. But the damage caused by ignorance runs much deeper. Our lack of enlightenment about the triumphs and sufferings of those who have come before us, some of whom faced far greater trials than we have, causes us to exaggerate our own importance and difficulties. Moreover, our benighted ignorance renders us more simple-minded in our approach to public affairs, more childlike, for it is children who live for and in the present. Teaching our young people their history, the cost and sacrifice of what it took to make our nation, is the solution to this problem. And here is one way to start immediately. You don’t need textbooks. You don’t need a classroom. You just need an old person. Having the young talk to the old can bring the past to glorious life. Whether it’s Mrs. Harrison praising the Rough Rider or Miss Lindsey enthusing over toilets and showers, the past bursts into life. Some high-school students I taught in Asheville, North Carolina, volunteered for a project interviewing veterans in the local VA hospital. They came away from those interviews deeply appreciative of the sacrifices of some of these soldiers and much more aware of their country’s history. Another reason to ask questions of the old is regret. Both my mother and father have passed away. I know a good deal about their past, but wish now that I had taken a greater interest. The 14-year-old who asks her 80-year-old grandfather or 90-year-old aunt about their past may find a treasure beyond reckoning. And in the best of circumstances, what they learn will send them off to the history books to read about World War II, Vietnam, or the early history of rock-and-roll. An immediate way to teach our young people history is to introduce them to elderly men and women, who can give them a perspective on history unavailable in any high-school textbook. In the case of Mrs. Harrison, for example, we are talking about a woman who remembered the Spanish-American War, who had lived through the Roaring Twenties, and who had lived during both the flight of the Wright Brothers at Kitty Hawk and the American landing on the moon in 1969. So if we want to teach history and if our books are inadequate, then we should turn to the elderly. We allow our children to connect with the past. We give them the opportunity to share that past with their own children and grandchildren. Maybe we even teach them that the past is not as clear-cut as stated in textbooks or popular ignorance. Have your kids talk to old people. This post, The Best Way to Teach History to Children, was originally published on Intellectual Takeout by Jeff Minick, a free-lance writer and teacher living in Front Royal, Virginia. It's important to know that you don't need to know everything about education, your children, or homeschooling in order to start. A slight change in your daily habits can guide your life to a different destination.